It’s Spring! And that means that it’s time to take advantage of all that Spring weather has to offer. 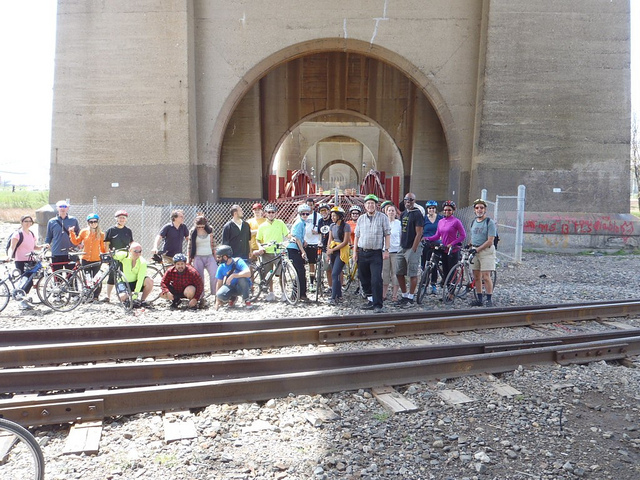 This Saturday, Friends of Brook Park and South Bronx Unite will be giving a leisurely bike tour that will include all the “beautiful natural wonders of the waterfront, community gardens and art, historic places” and cherry blossoms! Beyond the natural beauty and history, the tour will be visiting the site for the proposed truck-heavy Fresh Direct location. This is your chance to see the vast possibilities for this space from which the community would benefit. This is a great chance to learn more about your community or if you’re not from the neighborhood, then to explore it for the first time. We can’t think of a better way to get informed on issues than being active and riding our bikes! 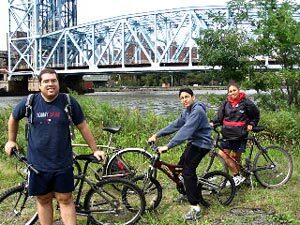 This entry was posted in Blog, Events, Mott Haven and tagged bikes, biking, explore, Fresh Direct, Friends of Brook Park, South Bronx, South Bronx Unite, tour. Bookmark the permalink.